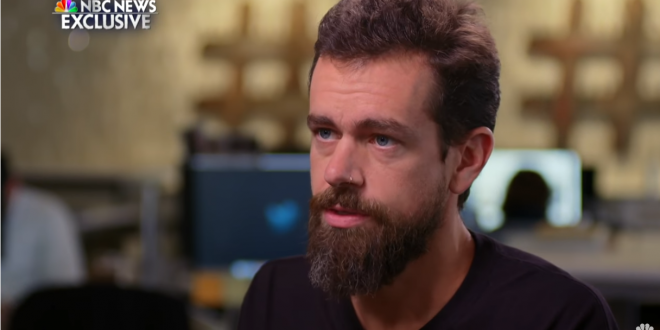 Twitter CEO Defends "Time Out For Alex Jones: Any Suspension Makes Someone Reconsider His Behavior - Joe.My.God. Dorsey said he resisted banning Jones, the embattled conspiracy theorist and radio host, despite calls to do so, some of which came from inside Twitter. “We can’t build a service that is subjective just to the whims of what we personally believe,” Dorsey told NBC News’ Lester Holt in an exclusive interview. Dorsey said he believes the suspension can be effective and is consistent with the company’s policies. “I feel any suspension, whether it be a permanent or a temporary one, makes someone think about their actions and their behaviors,” Dorsey said.